Ouran High School Host Club chp 78 Omake (Currently editing, ETA 3/3) Done! Here's "Orange Chocolate" chapter 5. Chiro moves forward towards understanding herself more. For those of you interested in the dance mentioned in this chapter here are some links to some videos! These are video of "Fuji Musume" or "The Wisteria Maiden" starring Tamasaburo. I was really lucky to find this videos because they include EXCELLENT commentary in English about what's going on during the dance. I wouldn't have been able to appreciate the dance at all without the commentary, so I HIGLY recommend viewing these to gain a greater appreciation of Nichibu Onnagata and of the events going on in "Orange Chocolate." 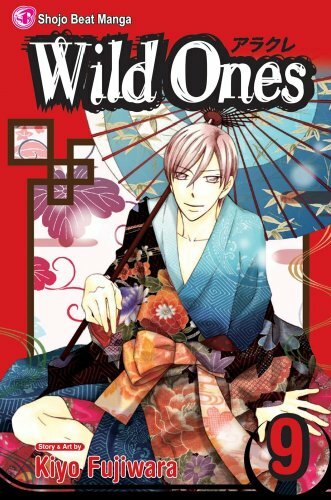 Wild Ones (Arakure) volume 9 is out from Viz. My copy is on it's way from Amazon :). As such, the volume 9 chapter will be unavailable until Volume 10 is released and the volume 8 chapters are now available again. Oh, something I just noticed: The Viz version chapter numbers are different than those in Hana to Yume. 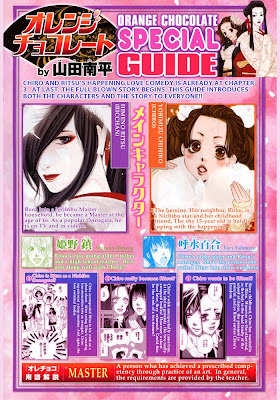 Viz's chapter 40 is Hana to Yume's chapter 39. I have no idea why this is. Please support the author by purchasing the manga. Here's a link. 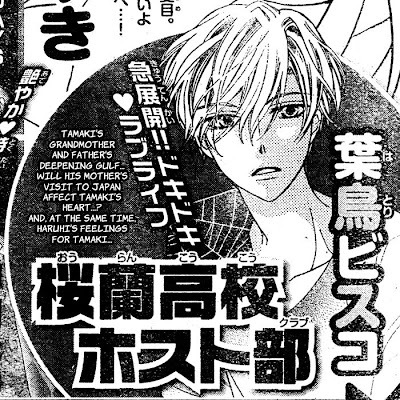 Here are the previews for "Ouran High School Host Club" chapter 79. Chapter 79 will be released in Japan on March 24th. The translation should be released within a week of that date. 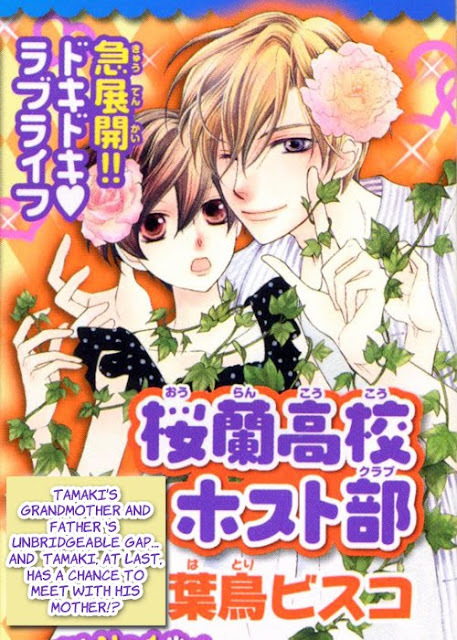 Since it's rumored that there are less than a hand full of chapters left, I will continue translating Ouran to the end. This means that I will eventually get around to to the Chp 78 omake. 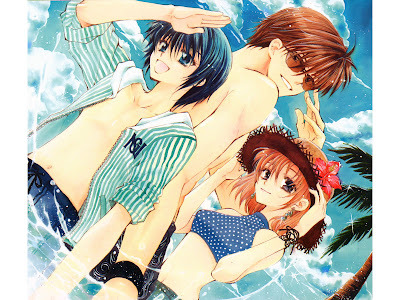 I've translated it and I will release it 2 - 3-days after I finish "Orange Chocolate" Chp 5. The first few pages of the omake were "meh" but it turned out to be quite fun by the end. It seems that the twins have inherited more than their mischievous and spoiled attitude from their grandmother ;p. Hahaha! The twin's talent is revealed :)! Anyhow, here are the Ouran 79 previews. Enjoy! I'm doing some maintenance and updates on my blogs and websites. So if things are going whack-o on you, it's just me playing around ;p. Hopefully, I'll get this blog settled today. "Pandora Hearts" by Jun Mochizuki is yet another variation on the "Alice in Wonderland" story. This time "Alice" is teen boy named Oz who has just turned 15 (though, he's drawn to look all of 10). Just before his birthday he stumbles down a hole and finds a pocket watch, which upon touching leads him into a dream about a giant Black Rabbit who is disguised as a very insane girl. Later at his coming of age ceremony he is formally sucked into the surreal abyss where B-rabbit saves him from some twisted entities called "chains." And then some stuff happens and the two of them end up at some mysterious mansion where they are invited to join a society called "Pandora." Pandora happens to be an organization that researches "chains." Does that sound familiar? Yep...blah, blah, blah ... meh. 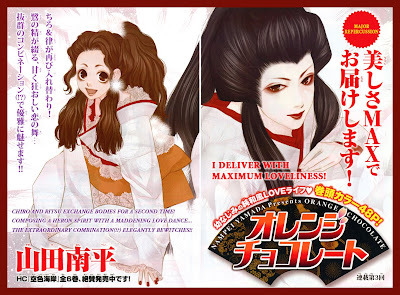 I suppose if I had not read other similar but much better manga series than this, I would have liked it more. I can't quite put my finger on it, but this series seemed very flat to me. The chains, though trying, didn't seem all that threatening, nor did they push the edge of looking twisted. The main character, Oz, has no personality and B-Rabbit is just another crazy brassy girl whose true power can only be unlocked by the main adolescent boy character. It's all very commonplace. This series falls along the lines of "DN Angel" and "Jing, King of Bandits." However, both of these series are far superior to "Pandora Hearts" and I highly recommend them -- although "Jing, King of Bandits" can be a bit esoteric at times. In terms of "Alice and Wonderland" variations, there is a new series running now called "Are you Alice?" which is far more interesting. I give "Pandora Hearts" volume 1 2/5 because I did get through 90% of the volume before giving up. What I like about this chapter is the way, towards the end, Chiro starts to confront her own personality. She wonders if she is as bubble-headed as Ritsu is playing her. 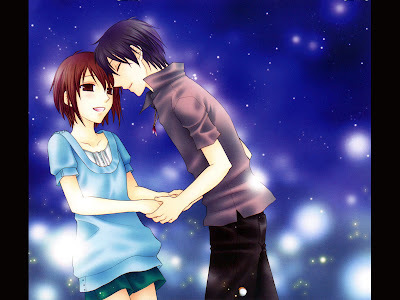 I wonder will Ritsu's behavior while he's in Chiro body affect the way Chiro's friends and colleagues perceive her. Sure, Chiro has her impulsive moments, but she's not fiery like when Ritsu inside of her. I wonder will Ritsu soon begin to confront his own personality. I think he's definitely getting a different perspective on Chiro. I get the feeling that he's taking her more seriously in terms of soft skills, but he still has a ways to go in terms of not thinking of her as a idiot child. I wonder, though, does Chiro have to realize first that's she's not a idiot child before it can be perceived by Ritsu and the people around her. My feeling about the over arc of this story, is that the two won't stop switching until each feels comfortable in their own skin. I could be wrong, though, because it is a Kitsune's curse. Peeking ahead, though, I can see that there's a twist or two coming very soon. Regardless, for now, I think I'll enjoy the very fierce Chiro-Ritsu as he continues to stick it to the Student Council President in the next chapter. There are also some very sweet moments in the next chapter to look forward to. Hopefully, I will be able to get chapter 5 out early next week. I would do it sooner, but I need to do some website maintenance, housework, work on my online portfolio, find a job, and watch the Winter Olymipic ice skating events. 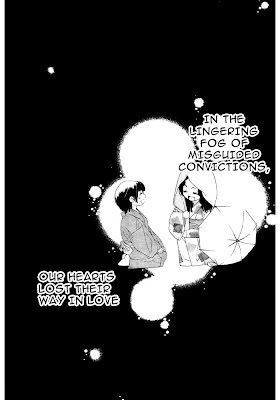 Here's another very cute chapter of "Orange Chocolate." 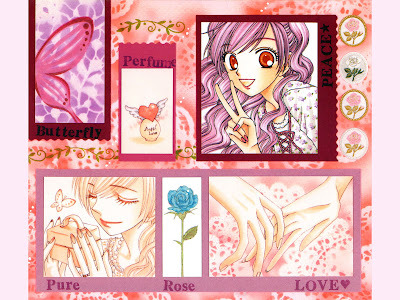 I'm debating whether to go on to Chp 5 or slaughter the Ouran omake. Personally, I'm more interested in Orange Chocolate. Here is "Zettai Heiwa Daisakusen" chp 15. This chapter does not resolve the bad situation we were left with in the last chapter, but rather it does a flashback so we can understand Joshua more. Poor Joshua needs a hug! Anyhow, it looks like the wedding is just around the corner! But will it go off peacefully? And what exactly does Johanne want to do with Judecca? What do you think? Next up is "Orange Chocolate" Chp 4. ETA: Tuesday at the soonest. I got the link to this website from "hisako" on Twitter. The website is still under construction, but check out what they've got so far. I'm pretty excited about this and I hope they expand it such that who ever wants to can easy learn basic Japanese in a fun way :). I have good news and bad news. First the good news! Here's "Akagami no Shirayukihime" chapter 18. Update 2/18/2010: Tiny edits from Kuma-chan. Please wait a week before uploading to aggregators because I haven't gotten in all the input from translation QC so there may be a tweak or two coming. Okay, now the bad news: It ends with an evil cliff hanger and the next chapter will not be out until June. Please be kind to me as I am only the messenger for this awful news. Pyro once again has written an excellent analysis and presented some Akagami love at Hyperparfait. Check it out! 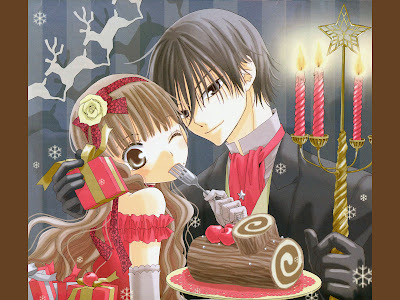 Next up is "Zettai Heiwa Daisakusen" Chp 15 followed by "Orange Chocolate" Chp 4. ZHD should be released on Saturday or Sunday and Orange Chocolate around this time next week. After that, I'll swing back around to do the Ouran Omake. I have Lala DX 3! I took a cursory look at each series and we will be releasing the series in order of the survey. Looks like Lala DX 3 is out! I'll go and pick it up tomorrow. Update: 02/09/2010 -- It's not out here yet. I will check tomorrow. It's in the top right corner! Have fun! If you wish to elaborate on your choice leave a comment or use the chat box. 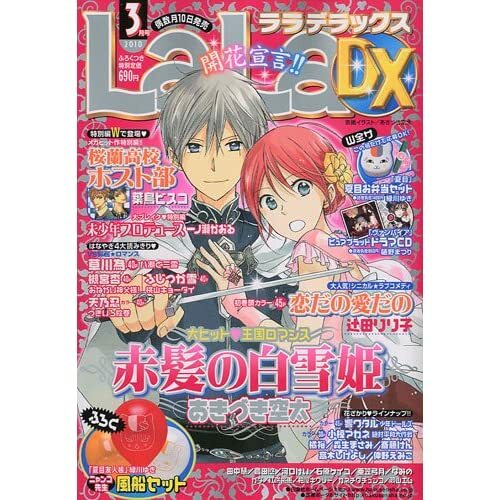 The Lala DX 3 Poll is over and the overwhelming winner in "Akagami no Shirayukihime" chapter 18. I'm actually very surprised by the poll results. I thought for sure Ouran would win since it's the most popular series on this blog. However, the demand for Ouran came in last and so I'm happy to put that on the back burner because I'm feeling a little burnt out on Ouran. Between ANS and ZHD, if ZHD continues from where it left off, I will translate that first. If ZHD is a filler chapter, then ANS will be first. As for the release schedule, don't expect any release from Lala DX 3 until after February 20th because next week I may be busy with family matters. Here's "Orange Chocolate" Chapter 3. Here's some video and information for those of you who are curious about onnagata and some of the dance pieces referred to in this chapter. 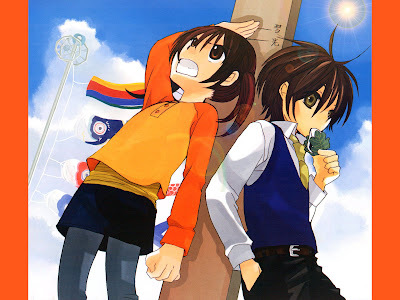 Also, if you like Orange Chocolate, you should give "Backstage Prince" by Sakurakouji Kanoko (also writes "Black Bird") a read. 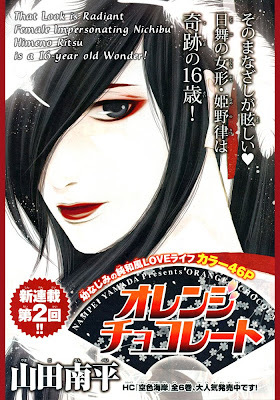 It's a short but sweet 2 volume series about another young man who's a kabuki star. 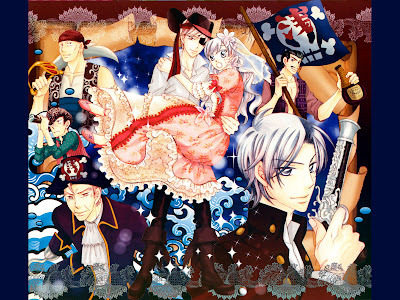 The female main character, Akari, in "Backstage Prince" seems to be the prototype for Black Bird's Misao. "Orange Chocolate" Chp 3 is almost ready. Here's a preview. I'll try not to spoil the cliff hanger ;p.
Seeing as how this is an ongoing experiment with the Internet, I've installed a chat window in the side bar. You have to register a username to use it. Sorry about that, but there are some unfriendly people out there that like to abuse features like chat. Anyhow, I'm online in some form most of the time while I'm awake, so give me holler :). Or don't...whatever. Perhaps there's no point to this, but I'll give it a try. Here is "Orange Chocolate" Chapter 2. If you come across any typos, please let me know through a comment or a little e-mail message. 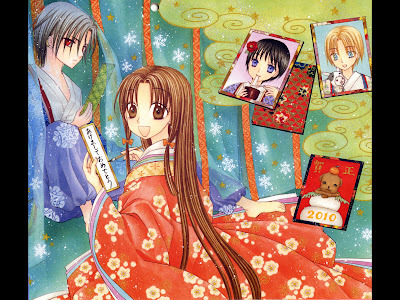 Here are some images from the 2009 Hana to Yume Calendar. Right-click on the images to download them. All images are 1600-by-1200 pixels.